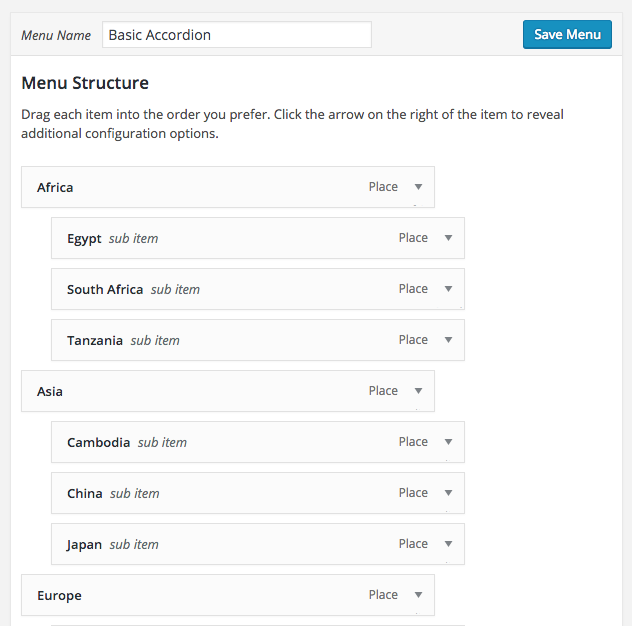 Bellows is built on top of the WordPress menu system, so you create and manage your menus through the standard WordPress menu system in the Appearance > Menus Panel. Note: Pro users can create auto-populated menus using the Menu Generator UI, which is separate from the Appearance > Menus screen. 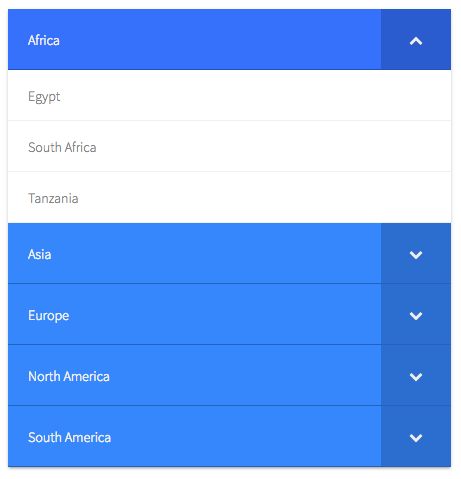 This article deals specifically with manually generated menus created in this fashion. A menu is a collection of menu items, organized into a hierarchical structure of parent-child relationships. 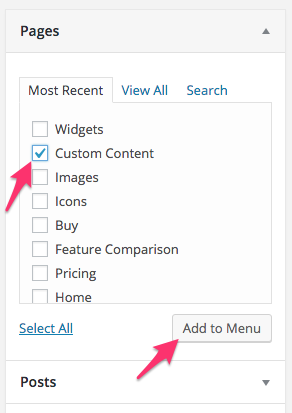 Menu items are links that point to specific content on your site, such as posts, pages, terms, archives, etc. The options for items that you can add to your menu appear on the left side of the screen. Each type of item has its own section, such as Pages, Posts, and Categories. Click Save Menu to save the menu items in the menu.